The first part of this work was devoted to the development of the theories deduced from my earlier experiments. This second part will be especially experimental. My observations of the dissociation of matter led me into very varied researches. Notwithstanding their fragmentary nature, they may, I think, interest the reader; and the account of them will be given in such a way as not to interfere with the general plan of this work. The laws of physical phenomena may be determined, but as we are ignorant of their underlying causes, their interpretation necessarily varies. If the facts do not change, the explanation of them is frequently modified. A great theory once accepted is immediately applied to the interpretation of known facts. The doctrine of the conservation of energy has for 50 years seemed able to furnish the key to all phenomena. It is now the theory of electrons for which this role appears to be reserved. By reason of the importance now given to the prevailing ideas on the atomic structure of electricity, it may be interesting to point out their genesis. Now dogmas are spontaneous only in appearance. Those who are attracted by a new belief especially appreciate its novelty, while it is in reality very old. Its history, generally forgotten by the textbooks, shows how certain ideas grow up and the slow progress of their evolution. It is to the illustrious Davy, about the beginning of the last century, that the origin of the present ideas on electrical dissociation, now termed ionization, goes back. Having passes a current through a solution of potash, and having noticed that the potassium went to one of the poles and the oxygen to the other, he concluded, rightly but much in advance of his time, that the two elements of a compound are charged with different electricities, which are neutralized by combination. The affinity which draws together and associates the elements of bodies must have its origin in the attraction of contrary electricities. We do not state the matter otherwise at the present day. It was on the hypothesis of Davy that Berzelius founded the dualistic theory which governed chemistry for 30 years. The compounds called binary, such as acids and oxides, were formed from an electro-negative united to an electro-positive element by the attraction of their contrary electricities. The compounds called tertiary — that is to say, salts — came from the combination of an electro-positive base and an electro-negative acid. The dualistic theory vanished when Dumas. Laurent, and Gerhard discovered the phenomenon of substitutions, and showed that in a compound an electronegative element could be replaced by an electropositive without sensibly changing its properties. Trichloroacetic acid, for example, is acetic acid in which three atoms of chlorine (an electronegative element) have replaced three atoms of hydrogen (an electropositive one). The conceptions of Davy and Berzelius, correct as they were, were abandoned for a long period. Their readoption was the consequences of the researches of the illustrious Faraday. Towards 1830, he discovered the laws of electrolysis, and measured the electric charges given up by bodies at the poles of the battery when they are decomposed by the electric current. He noted that when an electric current is passed through the solution of a salt, the latter is decomposed into two elements charged with contrary electricities, which are found at the two poles. This operation, the result of which is to resolve compound bodies into their elements, is called, as we know, electrolysis. The bodies capable of undergoing such an operation are called electrolytes. The products of the decomposition constitute ions. Simple bodies, considered as such to be indecomposable, evidently could not be electrolytes and consequently produce ions. This last was a fundamental point. After having verified the enormous charge of electricity — 96,000 coulombs for a gram of hydrogen electrolysis and the equality of this charge for all bodies of equal atomic weight, Faraday recognized, thus confirming the idea of Davy and Berzelius, that chemical phenomena are only electrical phenomena — that is to say, displacements of electricity. “The numbers representing the equivalent weights of bodies”, he says, “represent simply the quantities of electricity. The electricity determines the equivalent number because it determines the forces of combination. By adopting the atomic theory, we say that the atoms of bodies equivalent to one another in their chemical combination bear the same charges of electricity. It is the quantity of electricity associated with the different atoms which constitutes electrical affinity”. The most recent ideas simply represent the adoption and extension of Faraday’s views. At the present day, the theory of ionization reigns without a rival. It has given birth to a new chemical nomenclature in which the properties of bodies are expressed as a function of their electric charges, and no longer, as Berthelot wished, as a function of their thermal properties. Thermochemistry is now looked upon almost as a doctrine in course of disappearance. We now consider the study of the electrical reactions of bodies as far more important than that of their thermal relation. Charges of electricity and the manner in which they are distributed generate all the properties of bodies and the reactions which their combinations exhibit. The actual theory of ionization may be summed up in the following statement, which does but repeat exactly the ideas of Faraday: Bodies are composed of elements or ions charges, some with positive, others with negative electricity, and united at first in the neutral state. Under the influence of the battery current, the neutral molecule dissociates into positive and negative elements, which go to the poles of contrary names. The decomposition of a neutral salt may be represented by such an equation as the following: NO3K = NO-3 + K+. When an ion leaves a solution in order to precipitate itself at an electrode charged with electricity of contrary sign — by reason of the attraction exercised between two opposite electric charges — it then receives from the electrode a charge exactly equal but of contrary sign to that which it before possessed. To ascertain this quantity — to know, for example, the electric charge of the atoms of 1 gram of hydrogen — we need only measure with suitable instruments the expenditure of electricity necessary to neutralize the ions set at liberty. At the period of the history of ionization just briefly sketched, it was admitted that the dissociation of the elements of bodies into ions charged with electricity could only be effected under the influence of an electric current, but soon we had to go much further. Adopting the theoretical ideas put forward by Clausius, Arrhenius recognized that an electric current was in no way necessary to produce the dissociation of compounds into ions. In dilute solutions, the bodies dissolved must be separated into ions by the mere fact of solution. When the electrodes of a battery are plunged into such a solution, the ions must simply be attracted by them — the positive ions by the negative pole, and the negative ions by the positive pole. According to this theory, which is evidently very hypothetical, but which has been admitted because it much facilitates explanations, the dilute solution of a metallic salt would contain something quite other than the salt itself. A dilute solution of sea salt, for example, would in no way contain the chloride of sodium we are acquainted with. It would contain chlorine atoms and sodium atoms in a free state. This chlorine and this sodium in the state of ions must differ much from the substances generally known by those names, since the sodium of our laboratories cannot be introduced into water without decomposing it. The difference must be due to the fact that in the ion chlorine and the ion sodium the electricities are separated, while in the substances known by the same names they are neutralized. All these theories and the experiments whence they are derived show us that electricity is every day more and more considered as the essential factor in the properties of bodies. It must be solely from their electrical charge that these properties are derived. The chemical activity of an acid and of a base must be the simple consequence of the proportion of ions they contain. A strong acid such as sulfuric acid must contain a great number of free ions, and a feeble one like acetic acid very few. Chemical reactions are now more and more regarded as simple reactions of ions. Atomicity or valency — that is to say, the aptitude of atoms to unite with a greater or less number of other atoms of various bodies — must depend on their capacity for saturation with electricity. It is thus, for example. That in a salt like chloride of zinc (ZnCl2) the atom zinc, by reason of the greatness of its positive charge, can hold in equilibrium two negative ions of chlorine. Such is the current theory. It is very probable that things happen in a less simple, perhaps even in a very different manner; but when an explanation fits in fairly well with known facts, it is wise to be satisfied with it. The theory of electrons, according to which the electric fluid is composed of an aggregate of particles of definite magnitude, is a direct consequence of the preceding views, and could only give them further precision. This theory, which goes back to Helmholtz, and has been developed by Lorentz, also explains chemical compounds and decompositions by the aptitude of atoms for acquiring and losing electrons. Their degree of valency would thus depend on the number of electrons they might lose or capture. Those which, like the atoms of helium or of argon, must be too stable to acquire or lose any, would be unable to form any combination. All chemical forces would have an electrical origin. Affinity would recognize no other cause. His, again, is exactly what Faraday said and Davy maintained. The idea that we might separate particles of electricity from their material support was not imaginable before the recent discoveries. It was even so contrary to the early experiments, which seem to show that electricity could not be transported without material support, that for a long time the cathode rays were considered to be formed by the projection of material particles. This separation of a charge of electricity from its support seemed impossible. Still more impossible did it appear that a simple body could be subjected to ionization — that is to say, to a separation of elements such as has just been described above. A simple body, being by definition incapable of decomposition, evidently could not be dissociated. To separate the chlorine from the potassium in chloride of potassium was easy; but how could we suppose it possible to extract from chlorine something which was not chlorine and from potassium anything other than potassium. In less than 10 years, however, that which was considered impossible has ceased to be so. The study of the cathode rays, or of the conductivity of gases, of radioactive emissions, and, finally, my demonstration of the universality of the dissociation of matter, have proved that from simple bodies something quite different from them can be extracted. This something, identical in the most various subjects, being endowed with electrical properties, we will consider as constituted of those particles to which the name of electrons has been given. Whatever this interpretation be worth, it was certain that simple bodies could also be dissociated; but as this was an idea directly contrary to the doctrines then ruling, and as it was nevertheless necessary to find some theory to explain the observed facts, the old doctrine of ionization was adopted. It was therefore admitted that the electrified particles observed in gases or in dissociated simple bodies were the result of their ionization. The expression, having been accepted long since, could shock no one, while the idea of the dissociation of a simple body would have seemed disquieting. Yet the two words signify exactly the same thing. When we look only at the facts, it is evident that when from the atoms of a simple body something quite different from it has been taken, the atoms of which it is composed have necessarily been dissociated. It is, moreover, this conclusion which, after many hesitations, has finally been reached. It was the study of radium which carried conviction with it. This body presents in an eminent degree properties which all bodies possess in a very slight degree. It emits in abundance the products of the dissociation of its atoms. 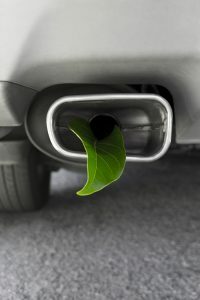 By studying these products I recognized their analogy, first with the emissions of particles in Crooke’s tubes, and then with the effluves emitted by all bodies under the action of light or of various influences. Finally, it had to be acknowledged that the dissociation of matter is, as I long ago proved, a universal phenomenon. All these experiments, many of which showed us particles of electricity freed from their material support, have naturally given great force to the theory of atomic electricity, otherwise called the electronic theory. Having sufficiently set out this in my former work, it would be useless to go back to it here. No objection can be taken to it when it is confined to regarding electricity as composed of discontinuous particles; but there does not seem to be any necessity whatever for considering matter as composed of electrons. Electricity is, like heat and the other forces, one of the forms of intra-atomic energy. From all matter we can extract electricity and heat; but there is no more reason to say that matter is composed of particles of electricity than to assert that it is composed of particles of heat. It would be as useless, however, to combat the electronic theory at the present day, as it was in Newton’s time to contest the emission hypothesis in optics. Those who attempted it were not even listened to, although the future has shown how right they were. I shall therefore not try to dispute its worth. This task is the less necessary, that it is very easy to express the phenomena in current language. I shall therefore continue to use it for clearness of demonstration. “The electron”, Poincare says rightly, “has conquered physics, and many adore the new idol rather blindly”. The idol, in reality of long standing, has only changed its name. To attempt to reduce matter to a single element is indeed an old idea. 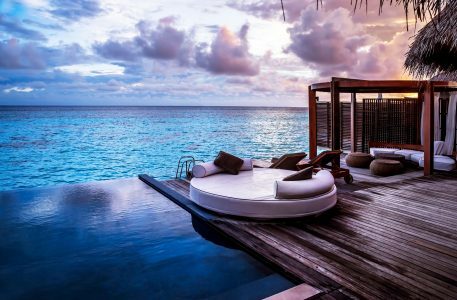 It translates into fact a mental aspiration and a craving for simplicity with which nature is doubtless not acquainted. One ought not to speak evil of such cravings, for they are the begetters of effort. Thus provisional doctrines and beneficient chimeras stimulate our labors. We unceasingly pursue the Sisyphus task of explanation, but always with the hope that it is for the last time. Several chapters of my last work were devoted to showing how matter can, by dissociation, return to the ether by a series of successive stages. Among the most constant products of this dissociation electricity is found. It is one of the important manifestations of that liberation of intra-atomic energy which always accompanies the dematerialization of matter. Since electricity in motion represents energy, it may be said that the transformation of a body into electricity realizes a change of matter into energy. Such a phenomenon being absolutely contrary t the fundamental principles of modern science, my theory will not be acceptable until after a radical conversion of current ideas. It will not therefore be useless to return to so important a subject, and to add new experimental proofs in support of those already set forth. It is equally necessary to show that this doctrine gives the key to phenomena for which either the most insufficient explanations or no explanations at all have hitherto been furnished. 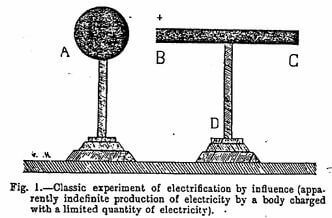 Electrification by influence, by virtue of which a tick of sealing wax which has been rubbed attracts light bodies such as a suspended ball of pitch, is the most simple of electrical phenomena, and the earliest observed. The usual explanation given of it is too well known for it to be necessary to reproduce it here. It is, moreover, the same as that of the phenomena of the same order which we shall shortly have to deal with, when showing how unacceptable is the classic theory. This experiment of the attraction of light bodies is in reality one of the most remarkable in physics, and it would have only been necessary to observe it attentively in order to discover the proof of the dissociation of matter and of the existence of intra-atomic energy — that is to say, of two important principles of modern science. In the old theories, the various experiments in electricity by influence implied this very singular consequence, that with the limited quantity of electricity existing on a body, we could extract from another body an unlimited quantity of electricity. Let me recall, to put this essential point clearly in evidence, the classic experiment demonstrating electrification by influence. A metallic sphere (Figure 1) placed on an insulated support is electrified in one way or another, and thus receives a definite quantity of electricity, the magnitude of which is easily measurable. Let us being near to this sphere at a little distance a conductor — for example, a long cylinder of metal B, C, placed on an insulator D. We immediately recognize by the ordinary means that the cylinder is charged with electricity. If the ball has in the first instance received positive electricity, it will be observed that the part of the cylinder next to it is charged with negative and its other extremity with positive electricity. If, then, this latter is touched so as to connect it with the earth, the whole cylinder remains charged with negative electricity. This may now be transferred to some other body by moving the cylinder by its insulated support. After having discharged the cylinder we have only, in order to recharge it, to bring it again near the ball and act as before. As these successive operations — charge and discharge of the cylinder — can be repeated an unlimited number of times, it necessarily follows that, with the limited charge of electricity on an electrified ball, there can be generated on another body an unlimited quantity of electricity. Physicists, moreover, recognize this clearly. Jamin says in his Cours de Physique de l’Ecole Poklytechnique (4th ed., vol 4, p. 187): “Influence enables us to obtain, by means of a limited quantity of positive electricity an indefinite quantity of negative electricity”. We explain this apparent creation of energy by saying that, to charge a body several times by influence it must be displaced — that is to say, an amount of work must be expended representing the equivalent of the electricity generated at each new operation. Feeble as is this explanation of the transformation into electricity of the simple movement of translation of a body, it seemed useful to take away every appearance of probability form it by producing an indefinitely extended electrification without any trace of displacement of the body electrified. This is realized in the following experiment, which shows a body isolated in space becoming by influence, a continuous source of electricity. A (Figure 2) is the influencing electrified body. It is kept charged with positive electricity by any means we please (1). Below we see a piece of aluminum or gold leaf half a centimeter wide and two centimeters high. B is a metal rod placed on a table or held in the hand. After a few trials a position is easily found in which the strip of metal remains wholly and indefinitely motionless in space. In spite of its slight consistence it remains fixed and rigid as if held by springs, and its point throws out little sparks visible in the dark. Its various parts take charges, the direction of which is shown in the figure. This experiment has always impressed those physicists to whom I have shown it, because the equilibrium observed is difficult of explanation. It must not be supposed that the metal arrow is simply immobilized by the electric attractions exercised in contrary direction on its extremities. It would be impossible to maintain in a block of iron between the poles of magnets acting on it in opposite directions. It is only in oriental legends that we see Mahomet’s coffin immobilized in space by the action of magnets placed in its neighborhood. The aluminum arrow in the above experiment only remains motionless because it is the seat of a constant emission of particles. It is, moreover, not a question of equilibrium we have to examine here, but the continuous emission of electricity by he metal under the influence of the electrified ball. This omission is made plain by the little sparks, easily seen in the dark, which issue from the point of the metal. In the experiment thus arranged, the electricity produced can only issue from the elements composing the strip of aluminum. How can we explain the fact that from an isolated fragment of metal we can extract an apparently infinite quantity of electricity? Readers conversant with my previous researches will certainly have guessed the explanation. It is wholly contained in the enunciation of the three following principles: (1) Matter contains an enormous reservoir of energy; (2) it can be dissociated; (3) in dissociation it liberates, in various forms, but especially as electricity, a part of the intra-atomic energy accumulated within it at the moment of its formation. The metal arrow in the preceding experiment is in every way comparable to a fragment of radium. The only difference is that, instead of dissociating itself spontaneously like the radium, the fragment of aluminum is only dematerialized under the influence of electric action. 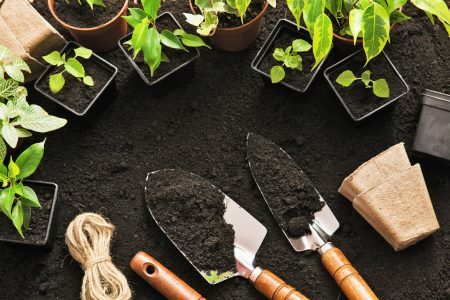 When we rub a body, when we place it under the influence of an electrified source, or when we subject it to any sort of disturbance of the ether, such as a luminous ray, we are doing quite a different thing to transforming (as the textbooks teach) movement or any other energy into electricity. We do not thus affect a transformation, but a liberation of force. We simply dissociate matter by bringing suitable reagents to bear upon it. Electricity is one of the manifestations of this dissociation. The magnitude of intra-atomic energy being, as I have shown, immense, it will be understood that from a very infinitesimal portion of matter there may issue a very large quantity of energy. 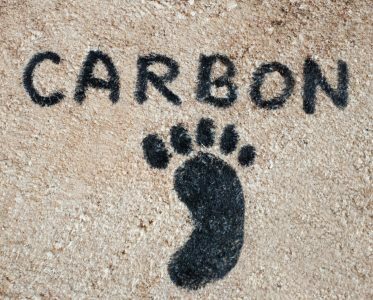 This emission is considerable, but it is not infinite; and it is probable that if the above experiment were continued for several centuries, we should see the aluminum become gradually less by its conversion into electricity, and finally disappear. We should then have witnessed the complete transformation of matter into energy. The experiment on electrification by influence described in this chapter realizes this evolution exactly. We might have read it in the elementary facts which have been before the eyes of physicists for several centuries without their understanding their import. It further results from this experiment that electricity, which is one of the products of the dissociation of matter, is at the same time one of the most active agents of this dissociation. It constitutes by its special attractions for the elements of matter one of those appropriate reagents of which the importance has been shown in a chapter of my earlier. It is one of those against which matter is defenseless, while it is able to strive against very energetic but not appropriate reactions. 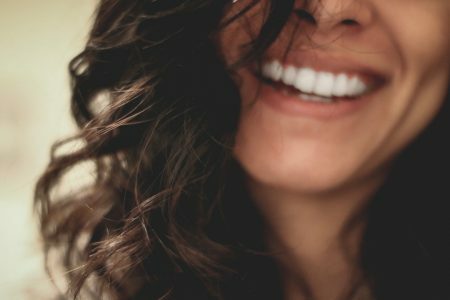 The irresistible power of attraction of a minute particle of electricity dissociates matter which the impact of a shell might pulverize and even volatilize, but could not dematerialize. In the last experiment, that of the strip of aluminum immobilized in space, we have seen influence manifest itself by the projection of luminous particles, while in the classical experiment previously related this projection is not visibly produced. I was thus led to suspect that the phenomenon of electrification by influence might take place through different mechanisms. Researches made to verify this hypothesis have enabled me to recognize its correctness. Let us first of all note that by the theory of electrons, electrification by influence would obtain a very simple explanation, since it would be enough to admit that, from bodied subjected to influence there pass visible or invisible electrons, which are immediately transformed into ions by their passage in the air, according to the well-known mechanisms. M. de Heen has opposed to this interpretation a very grave objection: If electrification by influence were due to projections of particles proceeding from the influencing body, it would be arrested by the interposition of a thick sheet of glass, which is not at all the case. This is plainly seen in the experiments given later on, which show the action of influence upon a body entirely protected by three concentric metallic enclosures. The theory of electrons is therefore quite powerless to explain electrification by influence. It may result from somewhat different mechanisms, as shown in the following experiments, which prove that bodies subjected to the same electric influence may, according to circumstances, acquire charges of contrary sign. No one is aware — for this, again, is one of the most elementary experiments in physics — that if an electrified substance — a stick of ebonite or glass, for instance — excited by friction is brought close to the ball of an electroscope, the leaves are charged by influence and immediately diverge. They fall as soon as the electrified body is withdrawn, because the charges of contrary sign produced on the ball and on the leaves recombine as soon as the influence ceases. Generations of physicists and their pupils have repeated this experiment. Had they thought of prolonging the presence of the rod above the ball of the electroscope for a few minutes instead of a few seconds, they would have observed — not without some astonishment, perhaps — that the gold leaves remain separated after the rod has been withdrawn, and that the sign of the charge of the ball has changed — that is to say, that it has become negative from positive, as it was at first. The effects produced depend, moreover, on the form given to the body influenced, as shown in the subjoined figures (Figures 3 to 5). Here we see modes of influence succeeding, but not superposed on, each other. It is impossible to confuse them, for to each of them there corresponds a different charge of electricity. In the case of Figure 5 the plate-like form of the influenced body is the cause that the sign of the charge does not change, and that the leaves fall when the electrified rod is withdrawn. In the case of Figures 3 and 4 it is quite otherwise; the leaves remain charged when we take away the rod. 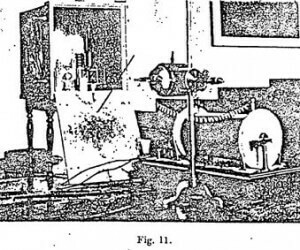 With the electroscope of Figure 4 the experiment is effected in a few seconds, while it is necessary to continue the presence of the ebonite rod for some 12minutes for it to succeed with the ball electroscope of Figure 3. The explanation of the maintenance of the charge or of its reversal after the rod of ebonite has been withdrawn is very simple. Take, for example, the case of Figure 3. The charge of the ball under the influence of the action of the negatively electrified ebonite rod is, as we know, at first positive, and that of the leaves negative. If the ball is touched with the finger, as when we charge an electroscope by influence, the negative charge passes into the earth, while the positive charge, kept back by the negative electricity of the rod, remains on the ball and flows into the leaves as soon as the finger and the electric rod are withdrawn. Finally, the leaves are charged positively. If the ebonite rod be left a sufficient time near the ball, we note, on the contrary, that when it is withdrawn without touching the ball of the electroscope with the finger, the leaves remain negatively charged instead of positively. Why? As soon as the ebonite rod is brought close to the ball of the electroscope it becomes positively charged by influence — as in the experiment with the cylinder related in another paragraph — and the negative electricity is drawn into the leaves. If, instead of withdrawing the ebonite rod, its presence is prolonged, it strongly attracts the particles of positive electricity from the ball, and when it is withdrawn the gold leaves keep the negative electricity they took at first, which is then spread over the ball. Therefore this latter, which was first charged positively, now becomes charged negatively. Finally, the whole instrument possesses a charge of negative electricity. In Figure 4 this transformation of the positive charge of the ball into a negative charge takes place much more quickly than in Figure 3 by reason of the pointed form given to the rod of the electroscope. In Figure 5 the transformation of the sign of the charge does not take place at all in consequence of the plate-like form of the apparatus, which gives the electricity far too slight a density per unit of surface for it to escape. The theory of the charge of an electroscope by influence is exactly the same as that of the electrification by means of an electrified sphere placed close to a cylinder, which we discussed in a previous paragraph. The electrified sphere represents the ebonite rod, the cylinder the gold leaves and the ball of the electroscope to which they are fixed. But if these two instruments are the same, the theory of the origin of the electricity given for the one is valid for the other. We have seen that an electrified sphere placed in the vicinity of an insulated metallic cylinder dissociates the matter of this last and transforms it into electricity. When an electrified rod is brought close to the ball of an electroscope, the metal of this ball is likewise dissociated, and the electricity manifested therein is the product of this dissociation. Electricity is able to diffuse itself in conducting bodies by conduction, convection, and influence. How does its diffusion take place in non-conducting bodies? Maxwell’s theory is well known. According to him, electricity does not circulate in dielectrics because it would have to overcome an elastic resistance which goes on increasing, and soon opposes its propagation. It is true that a dielectric may for a very long time retain a part of its charge. I have electrified blocks of paraffin which at the end of 18 months retained a weak residual electrification. But it is evident also that dielectrics very quickly lose a great part of their electricity, because a rod of ebonite excited by friction, of which the potential may exceed 1500 volts, loses the greater part of its charge in a few minutes. It is even astonishing that it should not disappear quicker, if we admit that the quantity of electricity retained by a body is kept on its surface by the pressure of the insulating gas and of the equally insulating ether which surround it. When there is no longer equilibrium between these antagonistic actions, the electricity partly escapes. My researches prove that this loss of electricity by an insulating body is effected in two ways: (1) by convection — that is to say, by the emission of particles; and (2) by conduction — that is to say, by propagation along an electrified body to one of its extremities, as in the case of conductors. Procure some rods of ebonite or of paraffin about 1 meter long. After having electrified them at one of their extremities by rubbing them for a length of only 2 centimeters, the unelectrified end is placed in contact with a conducting body connected with the ball of an electroscope. No displacement of the gold leaves is noticed at first, but by prolonging the contact for a few minutes the instrument becomes slowly changed. The electricity is therefore propagated along the unelectrified part. This experiment shows that, in reality, electricity is able to propagate itself in insulators as well as in conductors, but much more slowly in the first-named case than in the second. When we speak of the velocity of electricity, therefore, it must be said that, according to the body employed, it circulates with a rapidity varying from a few centimeters to 300,000 kilometers per second. We know that the electricity obtained by the chemical reactions which take place in a battery of any kind is emitted in quantities varying with the size of the battery, but at a tension independent of its dimension. 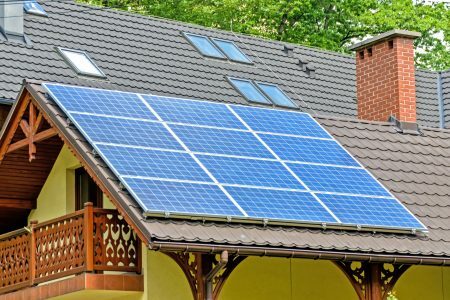 Whether the battery be the size of a thimble or of a house, the tension is always the same and always very weak, since it hardly exceeds two volts per cell. It is quite different with electricity drawn from matter without the intervention of any chemical reagent — that is to say, by friction or influence. The quantity of electricity then produced is extremely weak, but its tension extremely great. It may exceed 1500 volts from the friction of a simple rod of ebonite, and may easily attain 50,000 volts from the very smallest static machine used in a laboratory. In order to obtain the same voltage with batteries, it would be necessary — the elements being added together — to collect about 25,000 cells. These differences greatly impressed the old physicists, and was the origin of the division set up between static and dynamic electricity — so-called — which weighed down science for over 50 years. Notwithstanding the apparent dissimilarities resulting from differences of tension, the electricity generated by a battery is identical with that produced by a static machine. The battery and the static machine both produce, when their poles are connected by a wire, an electric current surrounded by a magnetic field and able to deviate the needle of a galvanometer. A battery of which the poles are separated is in every way comparable to a static machine just charged, the poles of which are far apart. Alike between the poles of the machine and those of the battery, a certain difference of potential exists. When they are connected by a wire, the electricity flows one pole to the other, and it is this flow which constitutes the electric current. Since the electricity generated by chemical decomposition as in batteries, and that produced by simple friction in machines, do not differ, why has the electricity of a battery produced by chemical decompositions only a tension of one or two volts, while that obtained by simple friction attains a tension 20 or 30 thousand times as much? The textbooks are silent on this question. As none of the chemical decompositions known to us intervene in the friction or influence machine, the production of electricity in these latter has probably another origin than that of molecular reactions. It proceeds, as previously t shown, from the dissociation of the atoms. When electricity is drawn from a simple body, whether by influence or by friction, it is simply intra-atomic energy which is liberated. Now, as this latter exists in matter in a state of extreme condensation, it is not astonishing that electricity should go forth from it at high tension. It has, on the contrary, a very low potential when it results not from the dissociation of the atom, but from changes of molecular equilibria. Compared with intra-atomic energies, intra-molecular energies are extremely weak. I have noted in several experiments, the most important of which has already been mentioned above, the case with which intra-atomic energy transforms itself into electricity at a high potential. Electrification by friction has always been obtained hitherto by rubbing insulated bodies — rosin, glass, etc. It is preferable, in order to justify the preceding thesis, to use conducting bodies. By employing simple bodies, such as pure metals, we avoid all foreign factors capable of coming in when such complex substances as glass or rosin are used. To easily effect the following experiments strips of various metals — copper, aluminum, etc., in the form of a rectangle about 10 cm square — must be firmly fixed in ebonite handles. If, holding the ebonite handle in one hand, the strip of metal be slightly rubbed with a catskin held in the other, it will be seen, on bringing the metal close to the electroscope, that it is charged with electricity of a potential from 1000 to 1500 volts. The gold leaves sometimes stand out horizontally, and may even be torn. The experiment only succeeds when the atmosphere is very dry. 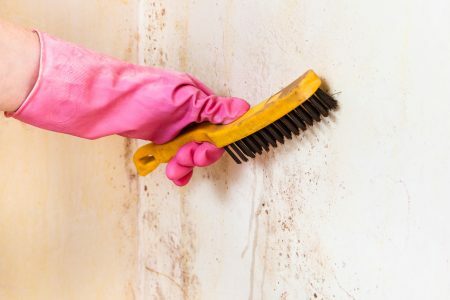 If, to dry the metal, it is heated to about 100 degrees or more, it can no longer, after cooling, be electrified by friction otherwise than very slightly. It then regains the property of being electrified at a high potential only after a certain lapse of time, which varies with the metal. Temperature exercise little influence on certain metals, such as copper; but a great deal on others, such as aluminum. This latter does not regain the property of being strongly electrified for a quarter of an hour after having been heated. When the metal is in conditions in which it can be easily electrified, it suffices to pass a catskin once lightly over it for it to be electrified to a potential of a few hundred volts. It is therefore quite correct, as I have said elsewhere, that matter need only be touched in order to draw electricity from it. So rapid a transformation by so simple a means always appears extraordinary when one reflect upon it. It is all the more striking that, in electrification by the simple contact of two heterogeneous metals, the potential obtained is only a few volts — that is to say, so feeble that it cannot be observed with an ordinary electroscope. Volta, who discovered electrification, only succeeded in demonstrating this by means of his condensing electroscope. If the electrification of metals by friction or by influence did not depend on so many very variable atmospheric conditions, there might be an advantage in replacing the insulating glass or ebonite plates of static machines by metal plates properly insulated. Very often in the course of this long study we have recorded the ease with which matter can be dissociated notwithstanding its apparent stability, as soon as one brings into action reagents to which it is sensitive. The most powerful forces seem to have no hold upon it; we may pulverize, calcine, and volatilize it without its weight being in any way altered. And yet it suffices to touch it lightly, to let fall on its surface a feeble ray of solar light, for instability to take the place of stability and for its disaggregation to begin. It is from this instability that forces are derived. Electricity, heat, and all the energies of the universe represent unstable forms of matter. What further strikes us in this study are the colossal energies contained in the smallest particle of matter. These energies play perhaps a preponderant part in biological phenomena. We already obtain a glimpse of this from the importance of the role of substances such as toxins, diastases, and colloidal bodies, containing only imponderable traces of matter, which is, however, doubtless in a form where its energies can be liberated. We evidently find ourselves here in the presence of a new world. The thorough study of which will modify all our present conceptions of the universe. The problem which offers itself to us in the case of electrification by influence likewise presents itself as regards the phenomena of magnetism and of magnetic induction. We know that a permanent magnet can magnetize an indefinite number of iron bars. A limited quantity of magnetism would therefore seem to produce an unlimited quantity. To say that the magnetism of a magnet only serves to orient the molecules of iron subjected to its action is no explanation at all, for, if it were so, this orientation would necessitate an expenditure of power which would exhaust the magnetism of the magnetizing body. The interpretation of magnetism being evidently difficult, we still keep to the old hypothesis of the particular currents of Ampere notwithstanding all the objectives aroused by it. That of Lorentz — on which, however, he does not greatly insist — is not much more satisfactory. “It may be supposed”, he says, “that there exists in a magnet electrons which turn or whirl”. Observation teaches us that there issues from a lodestone lines of force of which the existence and the direction are rendered plain by the classical experiment of the magnetic spectrum. Collectively they constitute what is termed the magnetic field. Let us keep, then, to this experimental fact, that magnetism is accompanied by the emission of things of unknown structure called lines or tubes of force. Taken together, they form a pencil of which the size depends on certain conditions, such as the section of the magnet. It would suffice, in order to explain the phenomena of the magnetizing of all the bars of iron successively introduced into the field of a magnet, if we admitted that its lines of force are immediately appropriated by the bars of iron they meet, and as immediately replaced by others issuing from the magnet and equal in number. But we thus only put the difficulty a stage further back. How can a magnet indefinitely replace the line s of force it loses by magnetizing another body? We can only explain this apparently infinite production by recurring to my theory of the dissociation of matter and of the liberation in immense quantities of the intra-atomic energy it contains. The manifestations of intra-atomic energy are numerous. Heat and electricity are two of them, to which must, no doubt, be added magnetism. A loadstone can generate an almost unlimited number of lines of force, exactly as a fragment of radium can generate an almost unlimited quantity of heat and of certain radiations. These radiations, again, are capable of being seized upon by neighboring bodies and of giving to them the properties of radium itself. This is the phenomenon which is termed induced radioactivity, and presents great analogies with the magnetism induced by the neighborhood of a magnetized body. I shall not dwell on the preceding interpretation, because it is impossible to verify its validity by experiment. “A magnet attracts a current; here, then is mechanical work produced, but whence does it come? There still remains to us, in order not to avow our embarrassment, the resource of a merely verbal explanation, and of saying that the work reaped comes from a diminution of the potential energy of the system. It is indeed in this fashion that the manner in which two permanent magnets act on one another is interpreted — it cannot be said explained. “But when we see a current displacing itself under the notion of electromagnetic forces, and we ascertain that we can thus obtain continuous rotations, it seems very improbable that the work obtained can come in this case from a corresponding loss in the potential energy of the system. One must, in fact, suppose that this energy has, so to speak, an infinite, and this supposition is rather repugnant to common sense. The same problem is equally present in the case of magnetic induction. How, with a definite quantity of magnetism, can we produce an apparently unlimited quantity of induced electricity? By cutting the lines of force of a magnet by a metallic wire forming a loop, of which the extremities are connected with the terminals of a galvanometer, we verify during the passage of the wire through the lines of force the appearance of a so-called induction current. It suffices to continuously displace the metallic wire in the magnetic field, so long as the displacements are repeated. On this fundamental fact of the production of a current by a conductor cutting the lines of force are based our magneto-electric machines, from which dynamos only differ because here an electromagnet takes the place of the fixed magnet. We will only consider here the first-named, which will enable me to make our demonstrations clearer. In these magneto-electric machines, the single wire referred to above is wound on a drum revolving between the poles of a fixed magnet, so as to cut again and again its lines of force. So long as the coil continues its movement, the magnetism of the magnet will be transformed into electricity. With a finite quantity of magnetism, we therefore produce an unlimited quantity of electricity. By the current theories, this indefinite generation of electricity at the expense of a limited quantity of magnetism is explained by saying that it is the rotational movement of the coil which is transformed with electricity, or, if you will, that the power expended against the electromotive forces is again met with under the form of electrical energy. Such a metamorphosis would be as marvelous, in reality, as the transmutation of lead into gold by simply shaking it in a bottle. It is very unlikely that kinetic energy should undergo such a transformation, and another interpretation must be sought for the phenomenon. The explanation propounded, which is the one given above for the phenomena of the same order, rests on no transmutation. Matter being easily dissociated and constituting an immense reservoir of intra-atomic energy, it is enough to admit that the lines of force seized upon by the conducting body which cuts them and causes them to flow in the form of an electric current, are constantly replaced at the expense of the intra-atomic energy. This last being relatively almost inexhaustible, a single magnet can furnish an almost infinite number of lines of force. The displacement of the conducting body in the magnetic field serves solely to put it in the condition necessary for absorbing the lines of force and giving them the form of an electric current. A determinate quantity of movement and consequently of work is, then, required to generate a certain quantity of electricity; but we are in no way justified in deducing from this the transformation into electricity of the simple movement of a body. Therefore, when we see at work these gigantic dynamos whence torrents of electric fluid flow, we should not say that they represent movement transformed into electricity. It is simply the intra-atomic energy of dissociated matter which appears under the form of electricity. Here, again, we perceive the fertility of the principles I have propounded on the dissociation of matter and the magnitude of intra-atomic energy. The immense reservoir of forces contained in matter allows us to explain the majority of phenomena, from the electricity which lights our street to the solar heat whence life is derived. Into most of the phenomena we have just examined the lines of force enter. They seem to be the fundamental elements of electricity. Faraday, starting from the idea, which contravened, however, that of most physicists of his time, that matter cannot act at a distance — that is to say, where it is not — deduced therefrom the existence of an intermediary connecting electrified bodies. He was thus led to recognize that these last are surrounded by lines of force throughout the whole space or so-called electric field in which their action is produced. The illustrious physicist attributed to these lines a very real existence, and by no means considered them as a simple mathematical expression. He regarded them as a kind of elastic springs, repelling each other mutually, and connecting bodies charged with electricities of contrary sign. Their extremities, affixed to these bodies, constituted the electric charge. Faraday put in evidence the lines of force which surround magnets by the classic experiment o iron filings powdered on a card under which are placed the two poles of a magnet. These filings spread themselves over the card in the direction of the lines of force. It was supposed by an extension of this theory that Faraday supposed electrified bodies to be surrounded by lines of force analogous to those round the poles of a magnet. At the present day we possess several means of rendering their existence plain (1). They may even be photographed, by using the luminous ions which, during electric discharge, follow their direction. 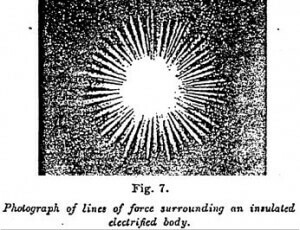 Figure 7 shows the lines of force radiating round an insulated electrified body. 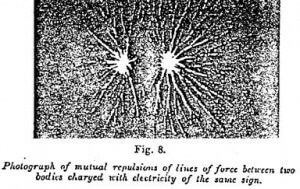 Figure 8 shows the repulsion of the lines of force between two bodies bearing electric charges of the same sign. Of what are the lines of force composed? Maxwell considered then to be formed of ether cells, whirling round lines serving as axes. Between them would exist the particles which constitute electricity. No experiment allows us to verify this theory. We must confine ourselves to noting the action of lines of force without being able to say anything regarding their structure. They possess properties showing that they are produced in the ether rather than in the matter whence they appear to issue. On e of the most fundamental of these properties, although it is hardly mentioned in the textbooks, is that of passing through, or behaving as if they passed through, all material substances, whether conductors or insulators. This the x-rays and the particles emitted by radium do to only a slight extent. It is precisely because this property had been almost unperceived by physicists that they were so impressed at the time of the discovery of radiations passing through matter. Bodies can, however, be traversed by lines of force much more easily than by easily than by the x-rays. If the lines of force had been capable of acting on the photographic plate, the x-rays would never have caused the excitement we all remember. The imperfect passage of these last through bodies alone permitted the celebrated photography of the bones of the hand which has been so much talked about. 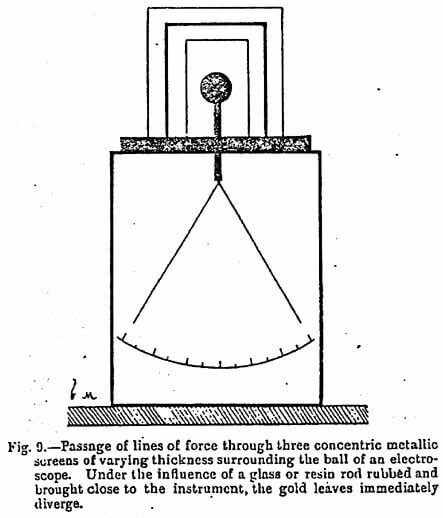 The experiment of Faraday’s cage, showing that bodies surrounded by a metallic screen connected with the earth cannot receive an electric charge, makes us forget the ease with which metals allow themselves to be transpierced by lines of force. By doing away with the earth-wire, a metal opposes no obstacle to their passage. 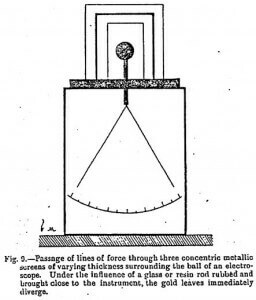 The apparatus shown in Figure 9, which I have constructed in order to render evident this passage of the lines of force through both metals and insulators, proves that an electroscope protected by three concentric cylinders, whether of metal or of ebonite, can be instantaneously charged. Naturally the metallic cylinders are placed on an insulating support. The transparency of bodies to magnetic lines of force is as complete as to electric lines of force, but is too well known to require demonstration. Everyone knows that a magnet cannot act in a compass through a door or a non-magnetic metallic body. Nothing, moreover, is easier than to verify this. A compass is placed at a short distance from a magnet. The deviation of the needle is noticed, then a thick plate of non-magnetic metal is interposed between the compass and the magnet. The needle of the compass is not displaced. Therefore the lines of force have passed through the metal without undergoing any trace of absorption, and act on the compass. But if the interposed body were capable of magnetization, it would seize upon the lines of force of the magnet, and would then constitute a magnetic screen. It is just, as before said, this capture of the lines of force which produces magnetization and also magnetic induction when we displace a conductor in a magnetic field. These lines of force, the properties of which have just been demonstrated, have no analogy with material substances, and yet it is evident they come from matter. The neighborhood of an electrified rod of glass or resin draws them forth from it, and it suffices to withdraw the latter for them to return to it. Without even bringing an electrified body neat to matter, we can draw from it lines of force. It is enough to put in contact two heterogeneous substances. We then observe that, if the surfaces of the two bodies are drawn apart, they are connected by lines of force which lengthen or shorten as the surfaces are farther apart of nearer. They are real elastic threads, as Faraday recognized, but of what are they formed? If they are composed solely of ether, their property of lengthening indefinitely and of shortening down to molecular dimensions is not easy to interpret. It is hardly possible at the present day to dispute the very real existence of lines of force. A magnetic field formed by them is a sort of viscous medium, dragging with it the bodies plunged therein when we put it in motion. Masses of metal introduced into a magnetic field follow it in its rotation. Industrial electricity at the present day utilizes these “rotating fields” to put bodies in motion without any material mechanism. These facts, as yet little capable of explanation, especially tend to put in evidence the close relations of mater with the ether, on which I have so much insisted, and which the science of today makes into two widely distinct domains. When their extreme form — for instance, a sun ray and a block of metal — are alone studied, they seem, in fact, very different. But by the examination of the intermediate elements linking up these forms so dissimilar in appearance, we demonstrate that the ether and matter are not two separate worlds, but one and the same world. In 1888 the physicist Hertz discovered that oscillating electric discharges generate in the ether a series of undulations analogous to those produced by the fall of a body into water. He demonstrated that these waves are propagated, refracted, and polarized like light, and circulate with the same velocity, only differing from light waves by their dimensions. The smallest electric waves are 5 millimeters long, while the largest light waves are 50 microns. The latter are therefore 100 times smaller than the former. Electric waves produce induction currents in the conductors they meet with. It was by noticing the sparks generated by these currents that Hertz revealed the existence of the waves which today bear his name; and it is on the propagation of these waves in space that wireless telegraphy is based. To reveal their presence at a distance we had only to find a reagent analogous to the ear for sound, or to the photographic plate for light. The only characteristics common to electric waves and light are their speed of propagation, and their capacity for reflection, refraction, and polarization. But it must be remarked that any periodical disturbance of the ether, whatever be its cause, must necessarily possess similar properties. It is therefore perhaps going too far to deduce from this the identity of the Hertzian and the light waves. This could only be properly admitted if these last also possessed electromagnetic properties, and consequently were able to produce induction currents in conductors. Now, we have never been able to obtain with light waves any electric or magnetic phenomenon, nor to verify their propagation along a wire, as in the case of electric waves. There would be no interest in dwelling on these differences, as the electromagnetic theory of light — now generally admitted — corresponds to that yearning for simplicity and unification so general in physics at the present time. Time alone can stem such currents of opinion. Abandoning, then, the idea of disputing the value of analogies now universally accepted, we will confine ourselves to the remark in passing that Hertzian are to electricity what radiant heat is to that circulating in matter. A heated body radiates into the ether what are called waves of radiant heat, which raise the temperature of the substances on which they fall. An electrified body suddenly discharged radiates so-called electric waves which charge with electricity the bodies that they meet. There is in this a parallel which, however, in no way leads to identification. The causes which determine the production of waves of radiant heat seem to possess only distant analogies with those of electric waves. The more we study matter, the more we are struck by its extraordinary sensitiveness. Under its apparent rigidity it possesses a very complicated structure and an intense life. Fragment of metal can be so acted upon at a distance of several hundred kilometers by simple vibrations of the ether, that they become conductors of electric current, the passage of which they at first present. This capacity for impression is another hint of the relations which connect the ether with matter. The reagent for electric waves employed by Hertz was not very sensitive. It simply consisted of a wire bent into a circle, terminating at its extremities in two balls brought very close together. Moving this receiver about in space, he saw break forth between the balls, on the passage of the waves, small induction sparks produced by their action. Receiving these waves in a large cylindro-parabolic metal mirror, he recognized that it was in its focus that the greatest production of sparks was manifested. Compelling them to pass through a prism of bitumen, he observed that they were deviated. Thus their reflection and their refraction were demonstrated. Hertz’s receiver was not very sensitive, since it did not reveal the existence of electric waves at more than a few meters from their point of emission. This was fortunate; for if Hertz had made use of the receivers now employed for wireless telegraphy, the phenomena of reflection, refraction, and polarization could only have been discovered with great difficulty. I have often noted, in fact, that sensitive receivers placed in the focus of the Hertz mirror, or by the side of or even behind it, give identical indication, and I shall have occasion to explain why. As has often been the case in the history of science, the rude instrument has rendered more service than a delicate one. With the receivers of slight sensitiveness employed by Hertz, the apparatus producing the waves had to be very powerful and consequently very bulky. Thanks to the receiver discovered by Branly, the most insignificant sparks suffice, on the contrary, to make an impression (Figure 10). In spite of it marvelous sensitiveness, the receiver called the radio-conductor or filings tube is so simple that any one can easily make it. It consists merely of a small glass tube containing two rods of metal two or three millimeters apart, between which is interposed a small quantity of metal filings. Thus constituted the tube insulates; but on being struck by electric waves sent by a radiator, which may be placed hundreds of kilometers away, it becomes a conductor and allows the current of the battery to pass into the circuit, which also contains an electromagnet designed to operate an ordinary Morse telegraph. A slight blow on the tube, automatically given by another electromagnet thrown into circuit by a relay, serves to bring it back to its original state and allows a fresh signal to be given. As has just been said, these receivers are so sensitive that the very weakest source of electricity is sufficient to act on them. The difficulty is not to be able to produce electric waves, but rather to manage not to do so when it is desirable to avoid it. Any sudden discharge of an electrified body, however small the spark may be, produces electric waves. They can be obtained by rubbing a rod of resin, by sounding an electric bell, by opening or closing the circuit of a battery, etc. I have caused a receiver to act at a distance of 50 centimeters away by the spark from a simple ebonite rod rubbed with a catskin and afterwards touched by a metallic object of fairly large capacity such as a key or coin. The discovery by M. Branly of the variation in conductivity of metal filings under the influence of the Hertzian rays, certainly constitutes one of the most remarkable discoveries in modern physics, especially because it opens up unforeseen horizons on phenomena still very mysterious, and on which the sagacity of physicists will no doubt have to exercise itself for a long time. We have here a very general fact which is in no way limited to the case of metal filings. This is that fragments of metal in contact with one another and presenting considerable resistance — 30,00 ohms, for example — to the passage of electricity, become conductors under the influence of very weak electric waves, and lose this conductivity by a simple shock. These variations indicate a great variability in the aggregation of atoms under the influence of infinitely weak but appropriate forces. Most discontinuous conductors can exhibit these variations. Now we hardly handle any other than discontinuous conductors. A continuous conductor, such as a metal wire, becomes discontinuous immediately we connect it to the terminals of a battery. And we have just seen that in a discontinuous conductor the resistance is not at all — at least for a number of metals — a constant magnitude depending on the section and the length of the wire according to Ohm’s law, it follows that the conductivity of certain metallic bodies may vary in immense proportions according to the pressure of the wires by the binding screws and the circumstances in which they are used. Even with a constant pressure this resistance may still very considerably, since it suffices to cause an electric spark in their neighborhood in order to modify the resistance of the contact. Now the simple fact of opening o closing a current produces such sparks. A filings-tube with a variable resistance is only an exaggeration of these effects. It is easy to illustrate what has just been said by a curious experiment due to M. Branly. A column of metal of 30 or 40 cm in height is formed by placing one upon the other a series of polished discs of bismuth, aluminum, etc., of the dimensions of a 5-franc piece. The column may even be made merely of polished steel balls placed in a test tube. The resistance of this column to the passage of an electric current is still considerable. If we make a small electric spark near it, the resistance becomes almost nil. To cause it to reappear, it suffices to give a tap to the upper part of the column. These variations are still more exaggerated if the column, instead of being formed of discs of the same metal, is composed of discs of different metals. With a column of alternate discs of lead and aluminum, a few taps will suffice to raise the resistance to about 30,000 ohms, and very slight electric waves sent from a distance reduce this enormous resistance to 3 ohms. This variability of resistance is not observed in all metals in contact, for copper is a notable exception, and it is fortunate it is so. The law of Ohm I = E/R naturally implies the knowledge of R. Now, if the physicists who established it had used wires of different metals other than copper, it could not have been discovered. They would have noted, in fact, by using any measuring apparatus whatever — the Wheatstone Bridge, for instance — that the resistance constantly varies in large proportions for a given length of wire, and that the variations of pressure in the binding-screws did not explain this phenomenon. Even had they noticed the influence of a spark emitted close by — and the opening or the closure of the battery current employed always produces one — they could not have deduced any measurement from it, since the effects of these sparks vary greatly from experiment to experiment. The final conclusion would no doubt have been that a wire of constant dimensions may in apparently identical circumstances allow very different quantities of electricity to pass, which is directly contrary to Ohm’s law. This law, which is the basis of all our practical knowledge of electricity, would no doubt have been discovered, but much later and by very roundabout ways. The property peculiar to a small number of metals of remaining uninfluenced by electric waves seems able to communicate itself to neighboring bodies, as if these metals possessed a kind of metallic atmosphere. Let us take a column of copper discs, which metal has an invariable conductivity. The resistance of this column will be a constant magnitude depending on the height and diameter of the discs, and will consequently obey Ohm’s law. Take a second column of aluminum discs, a metal of variable conductivity, and their resistance will vary in considerable proportions according to the conditions, such as shock, conveyance of electric waves, etc, enumerated above. Let us now mix the discs of the two columns in such a way that a disc of copper follows one of aluminum. The copper communicates its properties to the aluminum, and the column behaves as if it were composed solely of copper. Its resistance has become invariable; it now obeys Ohm’s law. We have seen that Hertzian waves propagate themselves in space to a distance of hundreds of kilometers, and produce on the metallic bodies they meet electrical induction currents capable of manifesting themselves in the form of sparks. This production of electricity at a distance is very slight, because the electric waves disperse their energy to all directions of the horizon (1). But it would be quite otherwise if we could concentrate them on one point by means of mirrors or reflectors, as we do with light. 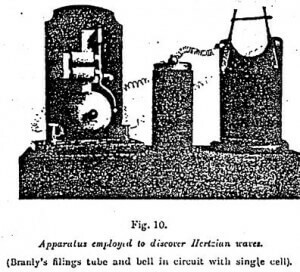 Such reflectors (cylindro-parabolic mirrors) were indeed used by Hertz in his experiments, since it was owing to them that he demonstrated the reflection of the electric waves; but unfortunately, by reason of the size of these waves, and the consequent phenomena of diffraction, the greater part of the energy is lost. To concentrate it, mirrors of gigantic dimensions would be necessary. However, I do not believe the solution to the problem is impossible, and if I have not carried out the plan of researches on this subject which I intended to effect, it is solely on account of the expense they would have necessitated. I intended to place side by side, and in contact with each other, a large number of cylindro-parabolic mirrors. These need not have been very high, for we can easily induce the waves to form in a plane of slight thickness. I should then have tried to produce extremely intense electric fields, such as we can obtain with divers instruments — the Oudin resonator notably. When this apparatus works with a coil having a 60 cm spark, all the metallic objects in a room 10 meters long are charged by induction to such a high degree that they spontaneously emit thousands of sparks. They once produced in my presence, at a distance of several meters, short-circuits in a switch-board containing voltmeters and ammeters, etc, connected by wires with a double coating of insulating material. In the result, these short circuits caused the wires to melt, and the experiment had to be immediately stopped for fear of fire. The problem of sending a pencil of parallel Hertzian waves to a distance possesses more than a theoretical interest. It is allowable to say that its solution would change the course of our civilization by rendering war impossible. The first physicists who realizes this discovery will be able to avail himself of the presence of an enemy’s ironclads gathered together in a harbor to blow them up in a few minutes, from a distance of several kilometers, simply by directing on them a sheaf of electric radiations. On reaching the metal wires with which these vessels are nowadays honeycombed, this will excite an atmosphere of sparks which will at once explode the shells and torpedoes stored in their holds. With the same reflector, giving a pencil of parallel radiations, it would not be much more difficult to cause the explosion of the stores of powder and shells contained in a fortress, or in the artillery parks of an army corps, and finally the metal cartridges of the soldiers. Science, which at first rendered wars so deadly, would then at length have rendered them impossible, and the relation between nations would have to be established on new bases. There would be no interest in dwelling further on this subject. I have more than once in my researches come across problems the solutions of which would modify the march of civilization more profoundly than all the changes of constitutions and reforms. It is only in the progress of science that great social transformations can be looked for. 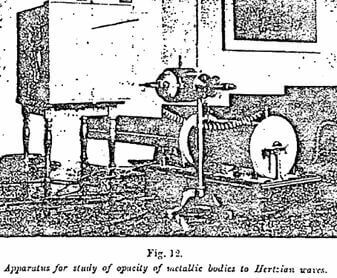 The ideas current on the transparency of bodies to the Hertzian waves were very erroneous when I published my researches in 1899. Experiment seemed to indicate that all metals of slight thickness and insulating bodies of any thickness could be transpierced by the,, but both these views were inexact. At the beginning of his researches, Hertz recognized that metals reflected the electric waves and consequently presented a certain opacity; but was this opacity total or partial? This was the point left unascertained. Sir Oliver Lodge, who has made numerous experiments on Hertzian waves, likewise thought he had noticed the transparency of metals, but supposes that at a ‘reasonable’ thickness they must be opaque (1). We are ignorant as to the value to be attached to what the author understands by “reasonable thickness”. “Notwithstanding all these precaution, I was baffled for more than 6 months by an unknown cause of error which I could not discover for a long time. It was only recently, when almost convinced of the uselessness of continuing my researches, that I discovered that I was mistaken in supposing that the tinplate sides of the case were [perfectly opaque to electric radiations. 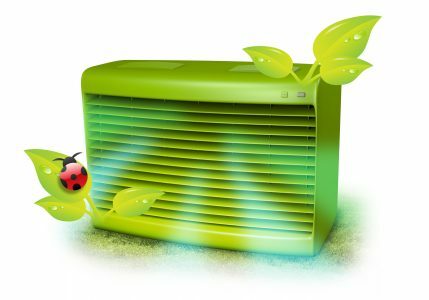 The metal box containing the radiator seems to transmit a few radiations though its walls, and if the receiver is sensitive it indicates this slight transmission. I than had a second metal envelope made, and found this precaution to be efficacious so long as the receiver was not placed to close to the radiator. Notwithstanding these two metallic envelopes, the receiver is still affected if placed immediately above the radiator” (1). More recently still, M. Henri Veillon made some analogous experiments in the Physical Laboratory of the University of Bale. They had as object the discovery of “the part played by conducting bodies placed between the receiver and the transmitter from which come the oscillations”. After acknowledging the difficulty of the subject the author declares that he only ascribes to his experiments “the character of a simple contribution to a study offering great difficulties”. The most important of his experiments is the following: — The receiver was placed in a zinc case 1 mm thick closed by a lid sliding in a groove, with the radiator outside. Under these conditions the experiment demonstrated to him that the action of the waves transmitted by the radiator “passed through the metal envelope, but only when the sparks did not pass at too great a distance (about 1.5 meters)” (2). This conclusion, we see, is the same as that of Prof. Bose. It results clearly from the above extracts that the most exact researches seemed to prove the transparency of metals to Hertzian waves. They appeared very conclusive. They were not, as we shall presently see. As regards the transparency of conducting bodies it was considered as absolute. At the outset of his researches, Hertz noticed the transparency of dielectrics — sulfur, wood, glass, etc. It is even by their means that he succeeded in demonstrating the phenomenon of the refraction of electric waves by large prisms of bitumen. Since then, dielectrics have always been considered very transparent to electric waves, and it has even been inquired whether they might not give a trace of absorption. Righi, in his researches, arrived at this conclusion: “That it can be considered demonstrated that the diminution of intensity to which the radiations passing through the plates of certain dielectrics are subject, are really due to absorption”. Wireless telegraphy experiments seemed to confirm this hypothesis absolutely. The majority of observers have noted, in fact, that walls, and even hills, were traversed by electric waves, and this observation is still reproduced in several works which have become classic. (1) Can metals of slight thickness be traversed by Hertzian waves? (2) Are non-conducting bodies of any thickness transparency to them? These problems had for me a very great theoretical importance. Their solution was very delicate, and as they necessitated a laboratory of larger dimensions than I possessed, I asked Prof Branly to be kind enough to participate in these researches. We together published the results obtained in the Comtes Rendu de l’Acadamie des Sciences (April 1, 1899, p. 879). The difficulties of all kinds we had to overcome before reaching a definite result thoroughly explain the erroneous conclusions to which very skillful physicists had been previously led. The first experiments seems to confirm absolutely the researches above quoted. Like Mr Bose and other experimenters, we noticed that the electric waves seemed to pas through the metal. The moment the radiator began to act, the bell inside the metal box could be heard. Although these experiments agreed with those of the authors quoted, we would not be satisfied with them. We had the metal doors readjusted by fitting to each of them half-a-dozen screws in such a way that we could close them hermetically. When these precautions were taken, we noticed that as soon as the screws were tightened, the bell remained silent. The radiations therefore did not pass through the metal; they simply passed through the very narrow gaps left by the metal doors. The transparency observed by former observers was due solely to the imperfect closing of the metal boxes in which they enclosed their apparatus. The precautions taken by photographers to protect their laboratories from the entry of light would be quite insufficient to protect them from the entry of the electric waves. These experiments were repeated many hundred of times with the same result — tightening of the screws, silence of the bell; loosening of the screws, ringing of the bell. We then tried with several metals, the effect produced by the thickness of the envelope, and it proved absolutely nil. A case of thin wood, lined with tin and only 1/100 mm thick, proved to be as adequate as boxes of metal of 2 mm. The protection exercised by a metal envelope is quite remarkable. In the metal door which closes the case let us solder, perpendicularly to its center, a brass rod projecting 30 cm inside the box, and protruding as much outside (Figures 11 and 12). Let us connect the circuit of the filings-tube to the inside portion of this rod, and place its outside part in contact with the radiator. It would seem that under these conditions the receiver ought to act. Now, it does nothing of the kind. Though the electric waves are propagates, as we know, along wires, that part of the rod which is inside the metal box entirely ceases to conduct. As the walls of the case form a screen, the electric waves take the shortest road, which is, evidently, the outer surface of the metal cage. By touching the latter with the finger during the experiment we can draw from it numerous sparks. The above experiments, and notably that which consists on causing or arresting the passage of the electric waves by tightening or loosening the screws closing the door of the metal case, prove that the tiniest slits allow the passage of the electric waves. Being thus led to examine the influence of these slits, we noted that if we replaced a slit intentionally made in the metal box by a series of holes the total area of which greatly exceeded that of the slit, the passage of the electric waves took place through these holes much less easily than through the slit. The radiator only needed to be placed a few meters farther off, and the bell remained silent. Thus one hundred round holes of 1 cm diameter do not give passage to the electric waves so long as the radiator is more than 50 cm distant, while with a crack 1 mm wide by 20 cm long, the receiver in the box was affected at all the distances at our disposal, and even when the radiator was placed in an adjacent room. With a slit made by simply passing the edge of a razor across the metal, the outer box was still transpierced by the waves, but at one-sixth of the distance employed with the slit of 1 mm. If the slit is perpendicular to the axis of the four balls of the radiator, the box is transpierced from a distance 6 to 8 times greater than when the slit is parallel to that axis. These experiments led to the presumption that a wire gauze of fine mesh would act exactly like a solid sheet, and this was easily verified by observation. An envelope of wire gauze, with meshes 1 mm square, is opaque, save when the radiator is only a few centimeters away. From what precedes, it results that metal envelopes act with regard to the electric waves much as Faraday’s cage does with regard to electrostatic induction. It will be remarked. However, in the case of electric waves, that the slits exercise an influence which is not produced in the case of static electricity. There must be likewise observed in electric waves the facility with which they pass through very narrow slits while square openings large enough for the insertion of a finger will not allow them to pass. Electric waves appear to behave as if they were rigid and similar to a metal disc which passes without difficulty through a sufficiently large slit, but is stopped by an orifice smaller than its diameter. We often indeed had occasion, in the course of our experiments, so observe the facility with which the electric waves travel round obstacles. This is evidently a diffraction phenomenon depending on the size of the waves produced by the radiator employed. Whether, in the preceding experiments, the radiator be placed before, behind, or at the side of the face of the box containing the receiver, with an imperfectly fitting metal door the bell will act equally well. It is precisely for this reason that, with apparatus as sensitive as ours, it would have been very difficult, as has been said, for Hertz to effect his researches on the refraction, reflection, and polarization of the waves of which he discovered the existence. If Lodge was able to repeat them with filings-tubes it is because, from the very nature of their construction, they possessed no greater sensitiveness than the receivers of Hertz. It is the passing round obstacles through the effects of diffraction which has above all contributed to deceive observers as to the transparency of voluminous bodies to electric waves. Whether it be a liquid, an electric, or an acoustic wave which is in question, an obstacle is all the more effectively passed round the greater the wavelength relatively to the dimensions of the obstacle. The sound of a flute played behind a house is less perceptible than a trombone, precisely because the sound waves produced by the trombone are longer than those produced by the flute, and consequently pass more easily round the house. Electric waves, being very large, easily pass round large obstacles; while light rays, being very small, can only pass round obstacles of the dimensions of a hair. It is for this reason that the phenomenon of diffraction, so easy of observation, has been so difficult to establish in the case of light. It is solely because he could not observe it, that Newton contested the wave theory of undulations. If light, said he, were constituted of waves, bodies would have no shadows, because the waves would turn round their edges as sound turns a corner and liquid waves a rock. 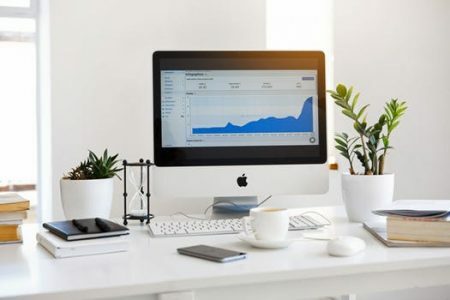 From what has been said, we may conclude that rigidly closed metallic screens, however slight the thickness of the metal, offer an absolute obstacle to the passage of electric waves. It will not be without its use to point out that in practice the protection afforded by metallic envelopes will always be illusory, because it is extremely difficult to make hermetically closed envelopes. Our researches prove that metals are opaque to electric waves, but their transparency, which seemed, moreover, demonstrated by all the early experiments, offered nothing improbable. This transparency, no doubt, did not agree with Maxwells’s equations, but as one can never get anything out of an equation which has not been previously put into it, it would have sufficed to put in something else to have drawn out quite different conclusions. Metals are very transparent, as we saw in another chapter, to electric and magnetic lines of force, and nothing proved absolutely that they were not so to electric waves. It was, therefore, experiment alone that allowed the question to be decided. The transparency of non-conducting bodies to the Hertzian waves, which has been known since the first researches of Hertz, is confirmed by all the experiments of wireless telegraphy. But is this transparency complete? Do the Hertzian waves really pass through hills and houses, as we have been taught? One may ask — (1) If the transparency of non-metallic bodies does note vary with the bodies and also with their thickness? (2) If the transparency of very voluminous bodies like hills is not merely an appearance resulting from the fact that the electric waves, resembling in this sound waves, pass round obstacles. We constructed a box of Portland cement with sides 10 cm thick, of which the side left open could be closed by a metal door carefully adjusted and capable of being hermetically closed by screws. The instruments designed to reveal the passage of the waves — that is to say, a needle galvanometer, a battery, an electric bell, and the filings-tube which becomes a conductor as soon as it is struck by the electric waves — were placed in this box before it was closed. After hermetically closing the case, and placing close to it a radiator with balls operated by a 15 cm spark coil, the apparatus was put in operation. From the first spark we knew by the ringing of the bell that the sides of the box were perfectly transpierced. The experiment was repeated by moving the radiator gradually farther and farther off, and we verified, by the silence of the bell, that from more than 7 meters away no electric wave passed through the case. It then sufficed to loosen the screws of the door to hear the bell ring, which showed clearly that the walls of the case constituted the sole obstacle to the passage of the electric waves. After drying for several days, the case became a little more transparent, but still the radiator ceased to act at a distance greater than 12 meters. These first experiments proved that if an enclosure surrounded by a wall of mortar 12 cm thick allows the electric waves to pass, it still exercises a notable absorption, and becomes quite opaque at a little distance. To confirm this apparent influence of the thickness of the surrounding wall, we caused to be constructed a second box of cement, similar to the first, and only differing in that its walls were 30 cm thick. Twelve house after it was finished, and while it was yet quite damp, it showed itself absolutely opaque to the Hertzian waves, even when we placed the radiator a few centimeters from its sides. As it dried, it allowed a few waves to pass through, but only when the radiator was not farther off than about 1 meter. Beyond that distance, it remained opaque. These experiments confirmed the first, and showed that the absorption increased, as might have been supposed, with the thickness. They seemed to indicate also that water possessed noticeably absorbent properties. To verify this fact, we had a wooden box constructed with walls 30 cm thick and filled with dry sand. In the middle was left a cavity closed by a metal door, arranged to receive the apparatus revealing the waves. Everything being thus ready, the radiator was put in operation, and we found that the sand behaved like an absolutely transparent body, exercising no absorption, perceptibly at least, at the distance of 40 meters, which was all that was at our disposal. We then poured into the case as much water as the sand would absorb, and, on repeating the experiment, a considerable diminution in the transparency was observed. The ease with which the dry sand allowed itself to be traversed led us to suppose that coarse-grained bodies such as stone might be more easily traversed than cement. To verify this we had cut a block of building stone of 1 meter cube, in the interior of which was left a little cavity to contain the receiver of the waves. This cavity was closed by a metal door carefully adjusted. The thickness of stone which the electric waves had to cross to reach the receiver was 10 cm. This thickness was, however, traversed without difficulty, even when we placed the radiator at the extreme limit of the garden where we were working — that is to say, about 40 meters from the receiver. Stone was therefore much more transparent than cement. The stone was then wetted for several days, and at once its transparency diminished. It was no longer traversed except when the radiator was placed within 25 meters distance. In the preceding experiments, the dry sand and the dry stone seemed quite transparent, but this was only in appearance, and resulted from the fact that we had not space enough at our disposal to put the radiator far enough off to verify the absorption. To convince oneself of this, it is sufficient to reduce the intensity of the waves emitted by the radiator by using a smaller induction coil — which comes to exactly the same thing as if the distance were increased with a higher source of radiation. It is then easily verified that the sand and the stone exercise an important power of absorption, and are by no means completely transparent. With a radiator operated by a coil giving sparks of 2 cm only, the block of dry sand of 30 cm thick is no longer traversed at a distance greater than 16 meters, not the block of dry stone beyond 13 meters. The above figures have, evidently, nothing absolute about them. They simply prove that the transparency of bodies to electric waves is by no means complete, as has been supposed. It is evident that according to the intensity of the source, differences of absorption will be noticed. 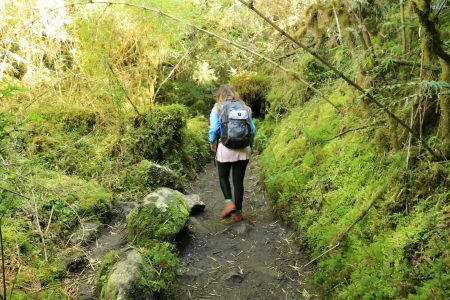 Waves of 100 meters in length pass through bodies better than waves of 20 cm, but it is equally certain that there must always be some absorption, and that, consequently, mountains and houses are not traversed as was formerly supposed. (1) The transparency of non-metallic bodies to Hertzian waves depends on their nature, and varies considerably from one body to another; (2) this transparency is always much greater than that of these same bodies to light; (3) absorption increases in proportion as the thickness of the body in question increases; (4) humidity greatly increases the absorption; (5) when the electric waves meet great obstacles, such as hills, these obstacles are passed round and not transpierced. Though the practical deductions which may be drawn from our researches do not here concern us, it may not be without interest to point out that the preceeding observations may find applications in the establishing of wireless telegraphy stations. The electric waves being in part absorbed and consequently weakened by the small obstacles they meet, and obliged to pass round the large obstacles, which likewise weakens them, it will always be useful to place the emitting and receiving stations on elevated points. The crossing of arms of the sea and the communication of continents with islands, constitute for the above reasons the best conditions of transmission. 1. Does the Electricity Derived from Matter Exist in Matter? According to a theory which in the last few years has become a dogma for many physicists, matter is composed entirely of electric particles called electrons, and its most fundamental property, inertia, is of electromagnetic origin. My work on The Evolution of Matter has already shown how little foundation there is for this hypothesis. But in order not to complicate an already difficult statement of novel things, I have kept to the almost classic terms derived from this theory. It can, moreover, in no way interfere with my statement, since things happen in appearance as if electricity existed completely formed in matter, instead of being, as I maintain, a secondary transformation of intra-atomic energy. “Learned men”, he said, “have come to look on brute matter as a simple appearance, of which electricity is, physically, the real basis, and to think that the elementary atom of the chemist is nothing more than a systematic grouping of electric monads or electrons — which are not electrified matter, but electricity itself”. This theory, which everywhere confounds cause and effect, is not derived from mathematical arguments alone. It is also based on the interpretation of certain observations, such as the composition of the emissions of radioactive bodies, the phenomenon of Zeeman, etc. But the fact which — unconsciously at least — has perhaps most influenced the idea of the learned is certainly the facility with which electricity is drawn from matter. It may be said, without too much exaggeration, that it is impossible to touch matter without causing electricity to come forth from it. It might also be said, and this time without any exaggeration at all, that a body cannot be touched without heat coming forth from it. No one, however, dreams of asserting that matter is composed of calorific particles. If the fluid called electricity existed complete in matter, it would be in an utterly inexplicable state of condensation. We know, in fact, that it is easy to extract from a small particle of matter a quantity of electricity out of all proportion to that which we can retain upon bodies of great volume. A small part of the 96,000 coulombs drawn from the decomposition of 9 grams of water would charge with electricity to a potential of 7000 volts a globe as large as the earth. It must be admitted that if electricity exists in matter, it is found there in a form which we cannot conceive. It is impossible to imagine a kind of condensation by the drawing together of the electrons supposed to compose the electric fluid, for they would exercise with regard to one another such immense repulsions that matter could not exist for a single instant. In my last book we saw that, if a charge of 1 coulomb would be concentrated on a small sphere and brought within 1 cm of another sphere bearing a similar charge, the work produced by its displacement at a velocity of 10 cm per second would be equal to 82,000 million kilogram-meters, or over one billion horsepower in the same space of time. But if electricity does not exist in matter, how can it be explained that it is so easy to draw the first-named from the second? When matter was considered as an inert thing only restoring the energy with which it had been at first supplied, no answer could be given to this question. Since I have shown that, contrary to the old belief, matter constitutes a colossal reservoir of a special energy — intra-atomic energy — it has become easy to explain how it is possible, at the expense of this energy, to obtain heat, electricity, or any other force. Without invoking any unknown phenomenon, I have shown how a tiny atom contains an immense quantity of energy. By calculations needless to reproduce, I have shown that a sphere the size of a pin’s head, revolving on its own axis with the speed of projection of the cathode particles, represents an amount of kinetic energy equal to that produced in an hour by 1500 steam engines of 500 hp each. The rotary movements attributed to the elements of matter alone explain how the particles of radioactive bodies are projected into space with a velocity of the same order as that of light. These velocities of rotation are necessary not only to explain the projections just mentioned, but also the equilibrium of the elements of which the atoms are formed. In the same way as the top falls to the ground the moment it ceases to turn, the elements of matter only keep themselves in equilibrium by their movements. If these last were stopped for a single instant, all bodies would be reduced to an invisible dust of ether, and would no longer be anything. This is why it has been possible to compare the atom to a small solar system composed of particles gravitating round one or several centers at some immense velocity. So soon as, from some cause or another, the centrifugal force resulting from the rotation of these elements exceeds the force of attraction which keeps them in their orbits, the particles of the periphery escape into space by following the tangent of the curve they pursue, like a stone hurled from a sling. In my last book, we considered electricity as an intermediary substance between matter and the ether, resulting from certain disturbances of equilibrium of the ether following upon the partial disaggregation of the atoms. According to the nature of these disturbances, light, heat, electricity, etc., result; but the elements which produce these effects have in themselves nothing electrical or calorific. If, therefore, matter can, by dissociating itself, produce various energies — light, heat, electricity, etc. — this does not in any way say that it is composed of light, heat or electricity. The conception of electrons, a near relative to the old phlogiston, is, as has been well shown by Prof de Heen, one of the most unfortunate metaphysical ideas recently formulated. The notion of a disturbance of equilibrium as the origin of any kind of force, is fundamental, and must always be present in the mind in order to understand the various forms of energy. Particles at rest are no more electricity than the ether at rest is light. When the equilibrium of this ether is disturbed, it experiences certain vibrations which we call light. As soon as these vibrations cease, the ether regains its equilibrium, and the light disappears. It is the same with electricity. As soon as the particles constituting the fluid termed electric are no longer in equilibrium, then, and only then, appear the phenomena called electricity. They disappear when these particles regain their equilibrium. One ought no more to speak of neutral electricity than of neutral movement, neutral heat, or neutral light. All forms of energy being produced by disturbances of equilibrium, it results from this that by varying these disturbances we generate different forces. To find new means of modifying the equilibria of matter and of the ether, is to discover new energies. So long as the equilibrium of the ether could only be modified in one single fashion, we observed only light. When we learned how to create new forms of equilibrium, we obtained the action of induction, Hertzian waves, x-rays, etc. It is entirely because the means of modifying the equilibrium of the ether and of matter are now becoming multiplied that we witness the discovery of new manifestations of energy. Science classifies them with much difficulty, not being able to connect them with things already known. The confusion which results from this will be easily made plain by the examination of the various phenomena which are still classed at present under the name of electricity. The following enumeration comprises forms of energy, very dissimilar, but possessing the common characteristic of being able, directly or indirectly, to produce what is called an electric charge. This is the only reason which permits things so different to be classed under the head of electricity. If we adopted in a general way this very summary process of classification, we should have to call heat all the causes which always produce it — for example, friction and movement. (1) The Electric Fluid – We suppose it to be constituted by the union of the electric particles to which reference will be made later on. After having admitted the existence of two fluids — the one positive, the other negative — the tendency now is to recognize only one, formed of negative elements. The positive fluid would thus be composed of material particles of some of their negative corpuscles. (2) Static Electricity – Formed by the accumulation of the electric fluid on a body. Is characterized by the power of producing attractions and repulsions but exercises no action on a magnet. (3) Dynamic Electricity – When a body charged with static electricity is connected by a conducting wire to an unelectrified body, it flows into this wire with a velocity which may reach that of light, and produces an electric current by the sole fact that the electric fluid is in motion; the wire which conducts it is itself surrounded by a field called magnetic, because it enjoys all the properties of a magnet. (4) Magnetism – Particular forms of electricity characterized by equilibria of unknown nature. Magnetism can in certain conditions generate an electric current [unipolar dynamo] in the same way that the electric current can generate magnetism. (5) The Electric Atoms or Electrons – Particles called electric, of definite magnitude, supposed to be constituted by vortices of the ether. May exist without material support in Crooke’s tubes, and in the emissions of radioactive bodies. Can pass through metal plates when their velocity is sufficient. (6) Cathode Rays – Formed by the projection of electric particles in a tube through which a current passes after a vacuum has been created in it. (7) X-Rays – Constituted by disturbances in the ether of a form still unknown, and taking birth when the cathode rays strike an obstacle. Pass through thick plates of metal. Possess no magnetic or electric property. (8) Negative Ions – Supposed to be formed of electric particles surrounded by attraction with material elements. (9) Positive Ions – Must be constituted by material atoms having lost their negative particles. Have never been isolated (1). (10) The Ionic Fluid – Formed of positive or negative ions mixed with gaseous particle. Can circulate through a metal worm before the elements of which it is formed recombine. (11) Neutral Electricity – Form of electricity totally unknown of which no reagent can reveal the presence, and supposed to be constituted by the union of the positive and negative fluid. Must exist in bodies in a state of extreme condensation, since there can be taken from one gram of water a quantity of electricity much exceeding that which it would be possible to keep on a globe the size of the earth. (13) Electric Waves – Disturbances of the ether which accompany electric discharges and are propagated by vibrations in the ether with a velocity which can attain that of light. They are to ordinary electricity what radiant heat is to the caloric phenomena of which matter may be the seat. By induction, the electric waves may generate at a distance on the bodies they strike currents of electricity capable of manifesting themselves in the form of sparks. Thus, then, by the sole fact of producing in the ether or in matter dissimilar disturbances of equilibrium, we create very different forces. It is only our need of simplification which leads us to put them together. We might evidently even further simplify them by saying that these energies only represent transformations of movement, but a definition of this kind would apply to all phenomena, including those of life. Such generalizations only translate our ignorance into other words.